HRANA News Agency – Families of some prisoners in Evin Prison are reporting restrictions on sending packages to prisoners in different post offices. HRANA News Agency – An outbreak of a contagious skin disease and negligence in ward 8 of Evin prison have caused concerns among the inmates and their families. According to one of the prisoners three people have become ill over the past week. 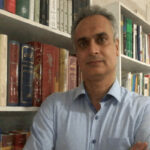 HRANA News Agency – The officials of ward 8 in Evin prison, in a statement and by an illegal action subjected the delivery of all the books to the prisoners, to the approval of the name and author of the books by the prison authorities. Some of the prisoners say that even with a license by the Ministry of Culture, according to the announcement, the prison decides which book could the prisoners read or not read. HRANA News Agency – One of the prisoners in ward 8 of Evin prison after injuring himself, attempted to threaten and insult the political prisoners in this ward on Sunday, 17th January. 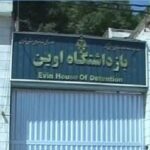 HRANA News Agency – Frequent and strange investigations from wards 7 and 8 of Evin prison made political-security prisoners to complain against it. HRANA News Agency – Bedbug bites and insect stings have exhausted prisoners in ward 8 of Evin prison. 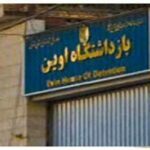 HRANA News Agency – After a week of warm water cut off, ward 8 of Evin prison inmates have faced a lot of problems. 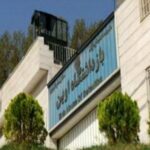 HRANA News Agency – Some prisoners of ward number 8 of Evin prison have been diagnosed with a kind of Toxication.